Chemotherapy is a type of cancer treatment that uses drugs or medications. It is used against many kinds of cancer. Chemotherapy works by targeting and eliminating rapidly-dividing cancer cells in the body. Rather than there being one universal chemotherapy drug, there are several different types that are most effective against specific forms of cancer. To treat cancer by killing cancer cells. This includes cells in primary tumors and cancer cells that have spread to other parts of the body. Chemotherapy might be the only treatment given or it may be used with other treatments. Neoadjuvant chemotherapy is given before surgery or radiation treatment to make the tumor smaller. Adjuvant chemotherapy is given to prevent recurrence of the original tumor after surgery or radiation therapy by killing remaining cancer cells. Palliative chemotherapy to relieve symptoms. The goal of chemotherapy may be to relieve symptoms, such as pain. It is given to control the growth of tumors or to shrink or eliminate them, which can relieve symptoms but not be a cure. Chemotherapy drugs are given most often intravenously (IV) or by mouth (orally). Other methods of administration are done, but those are the most common. The frequency and duration of chemotherapy depend on many factors. What chemotherapy drug is being prescribed? Why was this chemotherapy regimen chosen over others? Which side effects require immediate medical attention? How successful is the chemotherapy drug in those with similar case histories? How will chemotherapy affect my daily life? What over-the-counter medications can I take, such a pain relievers or other medications? Will I need to have someone drive me home after each chemotherapy session? What items you can I bring during sessions, such as an iPod, tablet, electronic reader, handheld gaming device, or other things to help pass the time? 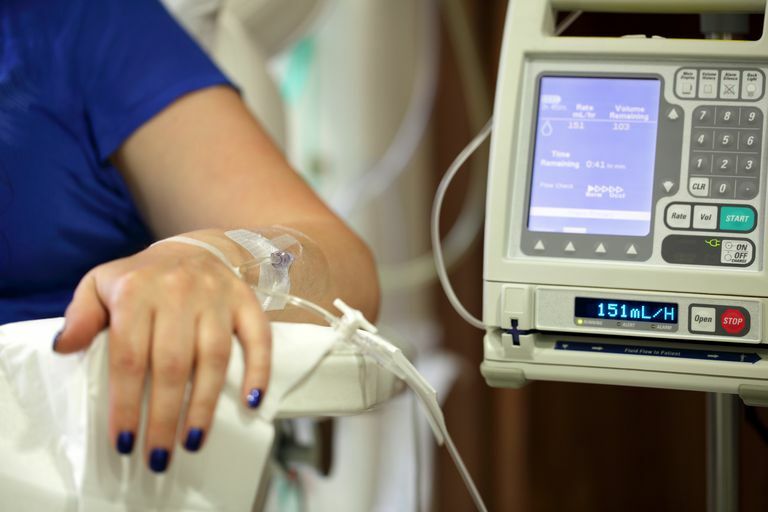 How your chemotherapy treatment affects you depends on many factors, such as how aggressive treatment is, overall general health, and what chemotherapy drug is being taken. Several medications can be prescribed to combat many of the side effects of treatment. "A Guide to Chemotherapy" American Cancer Society. 06/09/2015. "Chemotherapy PDQ" National Cancer Institute. April 29. 2015.